This entry was posted on February 25, 2013, in Cleveland and tagged city of cleveland, Cleveland, memorial, Tony Gaskins, TV20, TV20 Cleveland. Bookmark the permalink. 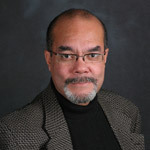 TV20 reporter Tony Gaskins passed away on February 19th at the age of 56. For those that would like to pay their respects, a memorial will be held to celebrate his life on Saturday, March 2nd at 11:15am at Trinity Cathedral, 2230 Euclid Ave.
« 2013 Cleveland Auto Show!